Decimus Caelius Calvinus Balbinus Pius Augustus was Roman Emperor with Pupienus for three months in 238, the Year of the Six Emperors. Not much is known about Balbinus before his elevation to emperor. 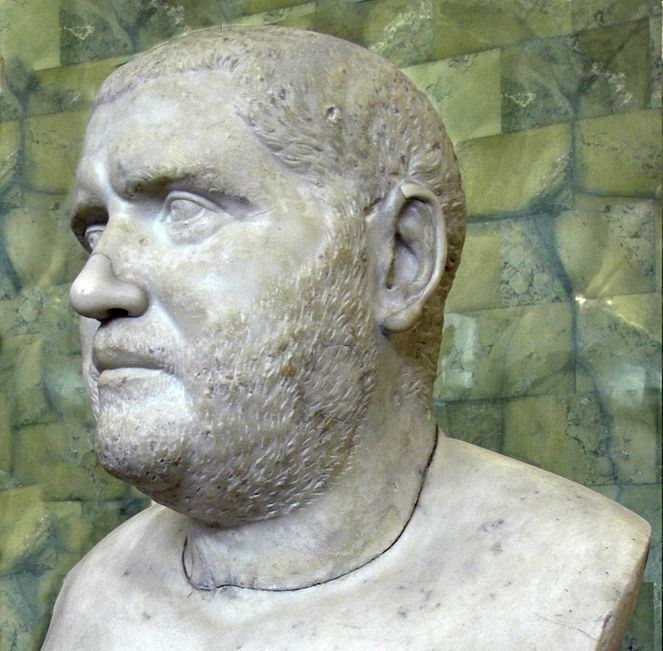 When the Gordians were proclaimed Emperors in Africa, the Senate appointed a committee of twenty men, including Balbinus, to co-ordinate operations against Maximinus Thrax. On the news of the Gordians' defeat, the Senate voted Pupienus and Balbinus as co-emperors on 22 April 238, though they were soon forced to co-opt the child Gordian III as a colleague. Balbinus and Pupienus didn't work well together, and they were soon living in different parts of the Imperial palace, where they were later assassinated by disaffected elements of the Praetorian Guard, with Balbinus' death occurring on 29 July 238.